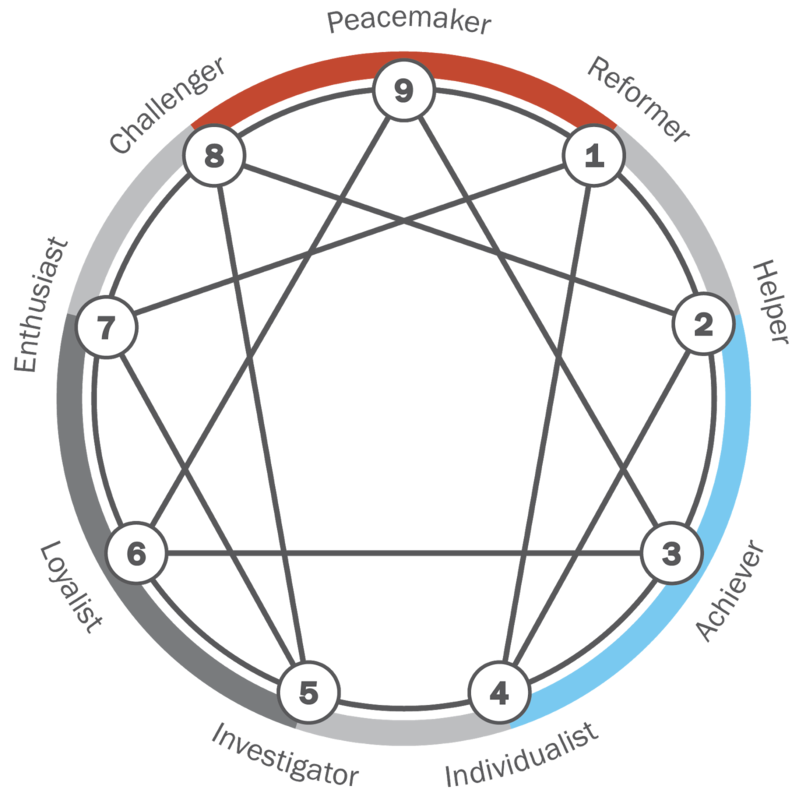 Skeptical about the Enneagram and the use of Enneagram Personality Types at Work? The Enneagram is valuable because it answers the question, “Why?” Why would someone do that? What would motivate that behavior? And why does that lead to them thinking and behaving so differently from me? Leaders find profound value in being able to work with someone with the insight of what drives them. A hint: none of the types are motivated by money alone! The primary benefit of understanding the motivations of others (see chart below) is that you can offer them more empathy, and help them channel their intention more effectively. Turns out the person who was name-dropping through your entire first networking meeting isn’t trying to be obnoxious, she’s trying to let you know that she’s successful. If she’s on your team, you can direct her toward areas where she can provide the most value to your organization. The person on your team pointing out every risk in the plan isn’t trying to slow things down or bankrupt you, he’s trying to ensure the security of the organization in the long-run. You can empower him to play devil’s advocate on purpose, and then use his insights to develop more robust plans. In addition to understanding and developing empathy for others’ motivations, the benefit of naming your own motivation is that it offers clarity and the ability to more quickly and accurately catch your own bad habits – of thought and behavior. Rarely does the Enneagram tell you something about yourself that you didn’t know. Instead, it shows the consistent theme behind those behaviors, which gives you more options on how to get to your goal. For instance, if I know that as a Type 8 I am motivated by strength I can become aware of my own internal patterns when I see that a project isn’t going exactly the way that I want. When I’m self-aware, instead of jumping in and taking over — which I could do because I am strong and resourceful enough — I take a deep breath and see how I can use my strength to empower the people on the project or remove a roadblock. Knowing your personality type gives you awareness and awareness give you choice. This allows the Enneagram to provide a growth path, not just a diagnosis. Knowing your type is a shortcut to enhancing your self-awareness and bringing out the best in yourself. This feature differentiates the Enneagram from other more descriptive personality models like the Myers-Briggs or Predictive Index. Those descriptive systems can be valuable for other reasons, but they give you a type without guidance on how to improve. Instead, with the Enneagram, when you are more self-aware, you can bring out the best aspects of your type. You can focus on the deeper intention and the best way to accomplish it, not the default way. For example, once a Type 9 knows about his strong motivation for peace, he can interrupt unconscious behaviors that create temporary harmony at his expense. Instead of accommodating his partner (business or personal), he can ask for what he wants. Rather than just going along with the other person’s idea, he is willing to work through temporary discomfort for the long-term peace that a genuine shared vision provides. Or, as a Type 1, knowing that my desire for goodness can quickly slip into perfectionism, I can interrupt the pattern to edit and re-edit. With awareness, I choose to let it be good enough. While the language of the Enneagram can fall into the same personality naming conventions that plague most personality systems (more on that next time), “You are a 2,” the Enneagram is aware that at your best, you have access to the best qualities of all the types. Knowing your primary personality type shows you the common roadblocks (both thinking and behavior patterns) so you have a path to spend more and more of your time being your full, best self. To learn more about your Enneagram Type or the types of those on your team or in your family, take the test, then take the course at the KWK Academy. Are you ready for next steps? Kaley Warner Klemp is a YPO-certified facilitator, executive coach and guide for executive teams in communication, trust building and conflict resolution. She leverages Conscious Leadership, the Enneagram, and business experience with leaders and companies to provide a lasting impact and access to new levels of effectiveness.